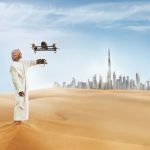 According to the Regional Transportation Authority of Dubai, they consider involving drones in monitoring the roads of Dubai in the middle of 2017. These quadcopters are believed to track the roads, as well as check accidents far better than anything else. After recording the streets and anything going on on them, drones will be programmed to send the information to the RTA center. Afterward, push notifications will be sent to public through certain applications or social media to inform them about the available parking spaces, as well as the traffic jams and hotspots. The entire infrastructure of RTA including Metro/tramway stations and RTA building will be monitored with the help of flying drones. However, even with the ability of drones to register about violations on roads, no such information will be provided as this is under the competence of the police. According to the interview, Khaleej Times took from the director of Automated Collection System Khaled Al-Awadhi, this innovation has already been approved and will be implemented in the second quarter of the next year. 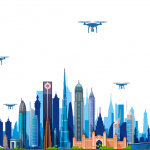 RTA will have to divide the entire area of Dubai into several zones to make it easier for drones to monitor the city. 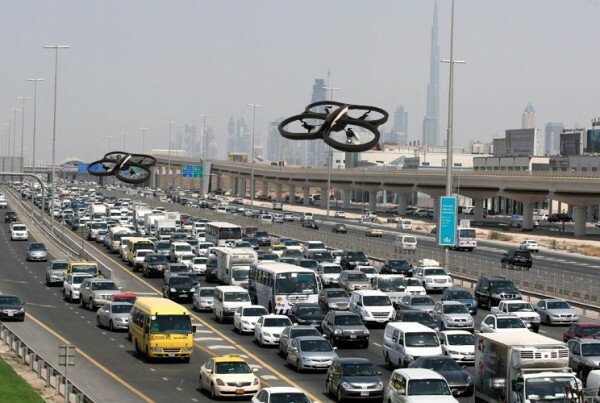 It has not been decided yet how many drones will be involved in the entire process and which streets will be monitored, yet such important roads as 24/7 or Shaikh Zayed Road are the first ones in the list. This is a highly crucial step toward ensuring public safety. Once any accident is registered on Dubai’s streets, an ambulance will be immediately sent to the place.